THE KEY FOR THIS PROPERTY IS LOCATED IN CHRISTCHURCH, PLEASE ADVISE IF ALTERNATIVE ARRANGEMENTS NEED TO BE MADE. The address is 2 Bellbird Place, not 49 Amuri Ave. 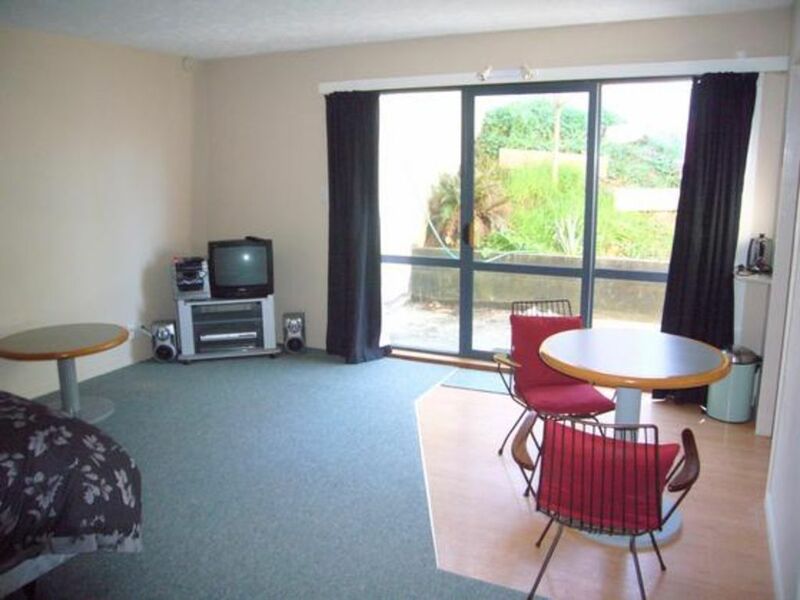 This studio unit is approx 10 minute walk from hot pools, shops, cafes, restaurants and mini golf. Suitable for couples, one queen size bed. Freeview TV and DVD player. This Unit is below a house, which sleeps ten people and is available to rent separately. Reference 8691 on Bookabach. PLEASE NOTE: The Owner will start to take bookings for the Christmas Period from the 1 October 2018. NOTE: Under Kiwi bach tradition you are expected to: Clean the house and do the dishes before you leave; Bring your own linen (towels/sheets/tea towels); Please remove all rubbish from the property, there is often guests checking in after your departure. I had a nice stay here even though there was a lot of noise from a party above. It is a cute place with all the necessaries but it could really do with a deep clean to get rid of the cobwebs and grime that has accumulated. Also, the small hot water cylinder barely lasted me an 8 minute shower for 1 person though it does heat up again quickly. It was good for what I needed which was a relaxing break. Several buts. The place was not clean when we arrived. Superficial work was done, but cobwebs and dust layered the corners in most areas. Very little repair work had been done, with cracks in walls and surfaces gathering grime. Squabs on seating inside had blood and water stains. Kitchen equipment old and grimy and fridge froze food any where near the small freezer compartment. Patio furniture covered in pollen and dirt. Would not recommend. Was warm with the fire going. Basic bed and furnishings not so comfortable, no extras but you get what you pay for. Was great for us as we had family upstairs too, so any noise didn’t bother us. The property was clean and had everything that we needed. The property was clean and had everything that we needed. A very comfortable unit. This is a good basic, budget oriented bach. This is a good basic, budget oriented bach. It met our needs, and we were quite happy with it.